You are currently browsing the blog archives for June, 2017. Is SWLRT getting too expensive? I’m quickly getting addicted to Alpha News’ reporting. This article is a great example of the work Alpha is doing. They’re doing reporting on things we’d never see in the Strib or other newspapers. That’s only part of the story. 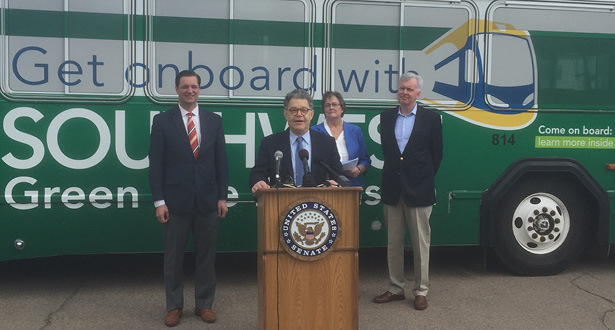 The other part of the story is that the “project will cost a total of $1.858 billion and construct just 14.5 miles of new rail for the Metro Green Lines.” That’s before factoring in the fact that Hennepin County’s “contribution totals roughly $656.65 million, about 35 percent” of the SWLRT project. That’s assuming that the federal government picks up its $929,000,000 portion of the tab for SWLRT. That’s far from a certainty at this point. Apparently, the Dayton administration thinks that SWLRT is never too expensive. Such type of thinking is frightening. 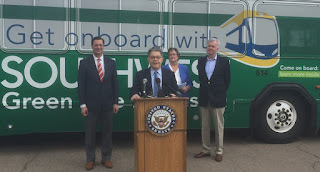 To people in outstate Minnesota, spending $128,140,000 per mile of SWLRT can’t be justified, especially when it costs $1,250,000 per mile to resurface a 4-lane road. According to my trusty calculator, MnDOT could resurface almost 1,500 miles of road for the cost of building the SWLRT. I guess he thinks he hasn’t hurt our wallets enough through Obamacare. The time to stop SWLRT is now. This article announcing Gov. Dayton’s appointing of a new chairperson of the Met Council highlights the possibility of that appointee facing pushback when her committee hearing is held. 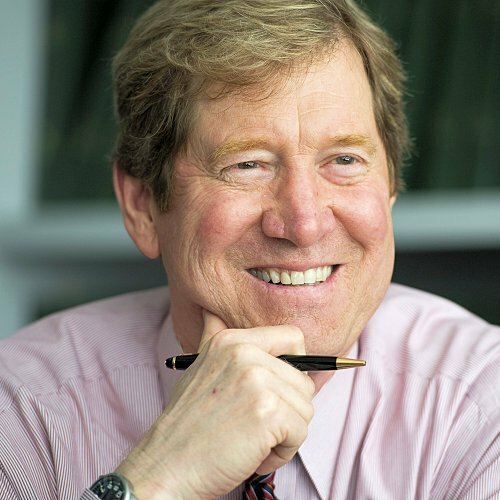 In Washington, Rep. Jason Lewis is also doing his part to ensure the council goes no further. In March, a bill authored by Lewis passed through the Transportation & Infrastructure Committee in the United States House of Representatives. Thank goodness for Jason Lewis for protecting suburbs like Prior Lake, Shakopee and Chanhassen. Let’s hope we elect a Republican governor and keep our GOP majorities in the Minnesota House and Senate so we can, at minimum, stop the Met Council’s authority to tax people without representing people. Right now, the Met Council ‘represents’ Gov. Dayton. They don’t represent the people. Still, they’ve been given the authority to levy taxes. There’s no way that’s right. The fact that dramatic minimum wage increases are a significant part of the Democrats’ economic plan (especially Bernie Sanders’, Elizabeth Warren’s and Hillary’s plans) should frighten voters. Usually, it’s talked about under the heading of income inequality, which is another way of saying stagnant economic growth. The visceral hatred towards employers in Bernie Sanders’ and Elizabeth Warren’s message is the opposite of Ronald Reagan’s economic message. Reagan rightly said that you can’t love jobs and hate the employers. 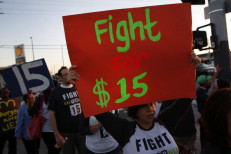 Dramatically increasing the minimum wage is the equivalent of hating employers. Those facts are indisputable. This article highlights additional parts of Judge Guthmann’s ruling in the Legislature’s lawsuit against Gov. Dayton that don’t sound good for Gov. Dayton. 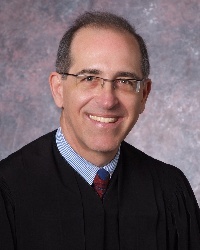 Some Twin Cities pundits have suggested that it’s best that Judge Guthmann order the two sides to sit down and work out their differences. I’ve never agreed with that approach. The constitutional issues are too important. Gov. Dayton’s claims are too reckless. It isn’t possible to reconcile Gov. Dayton’s filings with principles befitting a democracy. If the courts finally rule that Gov. 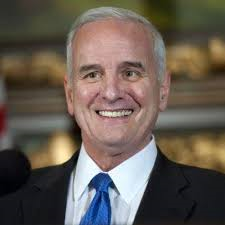 Dayton “has the absolute authority to line-item veto anything for any reason,” it’ll demolish the checks and balances in Minnesota’s constitution. This isn’t surprising. Artificially inflating wages hurts people because businesses have to make a profit. When the government makes it more difficult through higher taxes or higher wages, businesses will adapt. The easiest way to do that is employ fewer people. Why would companies start businesses in Minneapolis? They’d be foolish to. I suspect that companies that are part of the hospitality industry won’t start up there unless they get special concessions. I’ve read Article V. That’s where the Constitution establishes the office of State Auditor. Nowhere in Article V does it list the auditor’s responsibilities. Article V, Sect. 3 outlines the governor’s responsibilities. That’s the only constitutional officer whose responsibilities are defined in Minnesota’s Constitution. Since the legislation passed by the legislature and signed by Gov. Dayton doesn’t attempt to abolish the State Auditor’s office, there isn’t a constitutional issue. The office is still intact. It’s just that the auditor’s responsibilities have changed. Here’s where things get tricky for the DFL. Twenty-eight counties currently have the right to hire private auditors. That carve-out isn’t in the Constitution, meaning that changed through the passage of a state statute. If that change can happen through passing a state statute, why can’t other changes happen via state statute? 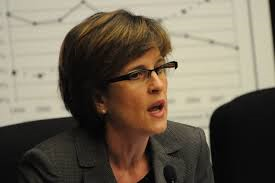 Those 28 counties have been permitted to hire private auditing companies for quite some time, meaning that Rebecca Otto hasn’t objected to the hiring of private auditors in years. Otto is only selectively opposed to the hiring of private auditors. Further, from a public policy standpoint, letting counties hire private auditors makes sense. Private auditors do the job quicker and at a less expensive price. Since the auditor’s responsibilities are assigned through statute, not the Constitution, it makes too much sense to not authorize qualified private auditors to perform these audits. Finally, it’s foolish not to either abolish the auditor’s office as a constitutional office. Wouldn’t it make more sense to move the auditor’s office, the attorney general’s office and the secretary of state’ office into being appointed by the governor? If not, why not? Rep. Walz’s statement is transparent in that he’s a) voted for the ACA, b) criticized the AHCA and c) criticized the Senate Republicans’ health care bill. The thing is that Rep. Walz hasn’t lifted a finger to propose a solution that would fix the ACA. It’s one thing to whine about bills. It’s another thing to fix bills that are “failing my constituents in a lot of ways.” This is typical Democrat do-nothing complaining that don’t offer solutions. It’s unfortunate because people are suffering across the country. Let’s look at the evolution of this, they passed 30,000 pages of legislation without reading it. They said you could keep your doctor. They said you can keep your healthcare plan. They said it was going to be affordable, and none of that has been true. And now, premiums have doubled across the country, you have insurers pulling out of marketplaces. People are suffering and Democrats are sitting on their hands when they created this problem. Republicans are working together. We have reached out to them, we want them involved in the process. It is unfortunate they have obstructed every step of the way and they are not putting the American people first. I can’t picture a way for Walz to win the DFL gubernatorial primary. Until now, he’d been predicted to be the DFL frontrunner. I’ve got to think that his criticisms of the ACA will hurt him with primary voters. Judge John Guthmann might’ve given Minnesotans a hint as to how he would eventually rule on the legislature’s lawsuit against Gov. Dayton. Judge Guthmann ordered the “state budget chief to take all steps necessary” to fund the legislature. In his ruling, Judge Guthmann said that “the public would be irreparably harmed” by being deprived “of a basic constitutional right – a fully functioning Legislative Branch.” I said earlier this week that the line-item veto was a tool that might be used to shape budgets. Further, I wrote that doesn’t compare in importance to depriving the people of a basic constitutional right to representation. This lawsuit shouldn’t have been needed. Gov. Dayton should’ve signed last year’s tax relief package. Vetoing that bill demolished Gov. Dayton’s credibility. That veto led to the GOP legislature to play hardball with Gov. Dayton this year. Thankfully, this was the last budget session Republicans will have to deal with Gov. Dayton. Frankly, Gov. Dayton’s last day can’t come soon enough. In his lawyers’ briefs, Gov. Dayton’s arrogance shines through in stunning, repulsive fashion. This article highlights both sides’ arguments. Technically, that’s true. Then again, no right is absolute. Each right must pass a balancing test. That’s why rights don’t come “without any qualification.” It’s arrogant for Gov. Dayton’s attorneys essentially argue that a governor’s right to shape appropriations through the governor’s line-item authority is more important than the people’s right to representation. The line-item veto is a budget tool, nothing more. If the line-item veto disappeared, governors would have one less tool to shape budgets. If the legislature disappeared, the people would lose their representation. It isn’t difficult to argue that the people Losing their right to representation is infinitely more important than giving governors an additional budget tool. If Minnesota governors lost the line-item veto, they’d lose a budget-shaping tool. If the people lost their right to representation, democracy would immediately disappear. In filing their brief, Gov. Dayton’s attorneys are arguing against democracy. In filing their brief, the Legislature’s attorneys argue for full-throated democracy. If the court get this one wrong, the judges that sided with Gov. Dayton should be immediately impeached and removed from office.